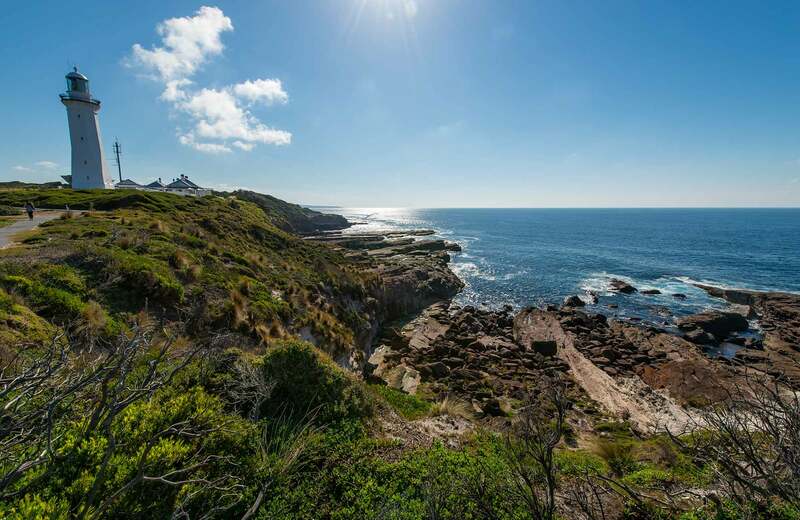 The Traditional Owners and Custodians of Ben Boyd National Park, the Yuin people, have lived in the area for thousands of years. On the Pambula River Walk you can see ancient Aboriginal sites — one midden has been proven to be over 3,000 years old. At Twofold Bay, the Yuin people had a? special relationship with the killer whales. The killer whales drove humpback whales into shore, the people used spears to kill them and killer whales and people shared the meat. The Aboriginal people later taught European settlers to work with the killer whales in the shore based whaling days of Twofold Bay. Find out more about this fascinating history at Davidson Whaling Station Historic Site. Severs Beach Severs Beach, in Ben Boyd National Park in the whale watching town of Eden on NSW’s Sapphire Coast, offers Aboriginal heritage, fishing, beach walks and more. The first shore-based whaling station on mainland Australia was set up at Twofold Bay in 1828. Benjamin Boyd established a competing business and built a private lighthouse, Boyd's Tower, and a township, Boydtown, before being declared bankrupt. The coast was the site of many shipwrecks. The Green Cape Lighthouse commenced operation in 1883 but shipwrecks continued, including the Ly-ee-moon that sank in 1886. You can pay your respects to some of the 76 victims at a graveyard a short walk from the lighthouse. There are also regular guided tours of the lighthouse. Davidson Whaling Station Take a guided tour at historic Davidson Whaling Station – discover how killer whales helped the Davidson family. And when you're done, finish the day with a picnic at the nearby beach. Thar she blows Tour historic Davidson Whaling Station in Ben Boyd National Park, and discover Eden's fascinating whaling history. Re-visit the incredible time when humans and wild orcas hunted together. Several threatened species take refuge here. North of Pambula River there's an important population of yellow-bellied gliders, listen carefully for their trademark crackles and shrieks. This area is also great for birdwatching. Along the coast look out for seabirds, especially the beautiful white bellied sea eagles. Haycock Point to Barmouth Beach walking track The walk from Haycock Point to Barmouth Beach in Ben Boyd National Park takes in whale watching, scenic coastal views, wildlife and birdwatching opportunities. Light to Light walk Begin this multi-day walk at Boyds Tower down the far south coast, and end at Green Cape Lighthouse. Stop for a swim and the opportunity to spot seals, seabirds and whales. The park's vegetation reflects its location in the driest, windiest part of the state's coastline. You'll see stretches of coastal heath beside sea cliffs and scrub shaped by salty with patches of tall coastal forest and wet forest gullies. Some parts of the park reach less than 100m above sea level.